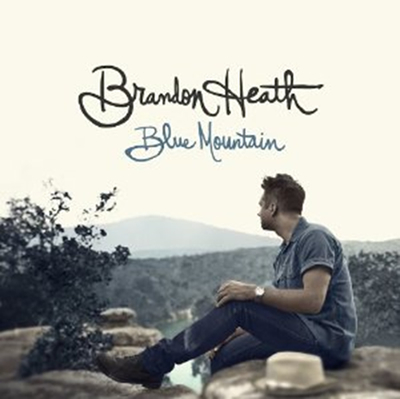 Brandon Heath is a contemporary Christian musician from Nashville, Tennessee who began his career by writing songs as a teenager. He has released four studio albums: Don't Get Comfortable, What If We, Leaving Eden and Blue Mountain. He is best known for the No. 1 "I'm Not Who I Was" and "Give Me Your Eyes". He was nominated four times at the Dove Awards of 2008 and won in the "New Artist of the Year" category. His second album was nominated for "Gospel Album of the Year" at the 51st Grammy Awards of 2009. Brandon has been nominated for three Grammy Awards - Best Contemporary Christian Music Song, Best Gospel/Contemporary Music Performance and Best Contemporary Christian Music Album (Leaving Eden). The opening title track “Leaving Eden”spoke of the obvious pain in the world, with the state of things around us, "it’s clear we’ve left Eden,” he says. Leaving Eden represented that important step forward for Heath, as artist, as singer, as chronicler of the world around him. Through this remarkable collection of songs, he reminds us moment by moment, decision by decision, of the hope given to us. Although we often may feel the weight of the world pushing in, by looking back and leaning on the One who created us, can we truly experience that burden lifted.